We were running an RStudio (pilot) Server and monitored the usage with the admin dashboard. We are now setting up a new server but would like to retain the usage statistics from the old server. Is there a way to access the raw data behind these usage statistics? 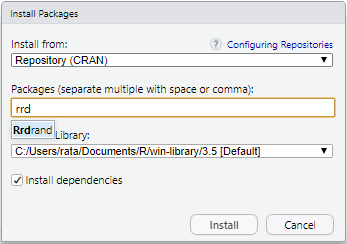 Followup question: I would think that I need the package rrd to import this data into r. However, RStudio does not seem to find this package..? Is your CRAN mirror up-to-date? EDIT: but it appears that it's only available on Linux, and IIUC you're attempting to install the package on a local Windows machine. This is indeed the case. Luckily, the installation does work on our Linux based RStudio Server, so that's a good workaround.